From April to August, 2002, a caravan of motor homes and support vehicles covered more than 13,000 miles through Europe and North America with S.N. 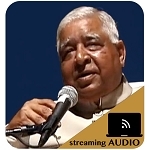 Goenka giving discourses, public talks, and one-day courses. The tour was given the title "Meditation Now" and was the largest and most elaborate tour undertaken by Goenkaji in the Western world. This book is much more than a travelogue; it includes little bits of wisdom that are brought to light as the underlying story of the group's travels and events unfold. 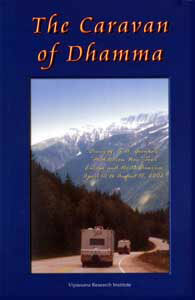 It combines historical and practical aspects of the Dhamma that weave their way through the day-by-day account of the trip. Most significantly, the book offers the reader a glimpse of how Goenkaji brought the teachings of the Buddha to the people of two continents, and how he personally incorporated these teachings into his own daily life as the trip proceeds.